Luiperdkloof Trout Lodge - Utrecht Accommodation. Luiperdkloof is a 1900 hectare working cattle farm located in the scenic Balele Mountains between Wakkerstroom, Utrecht, Vryheid and Paulpietersburg. The beautiful pastures and healthy looking cattle is what drew the farmer's heart, and the scenic location of the existing cottages inspired us to venture into the hospitality field. We are a young family who have decided to make Luiperdkloof our home. 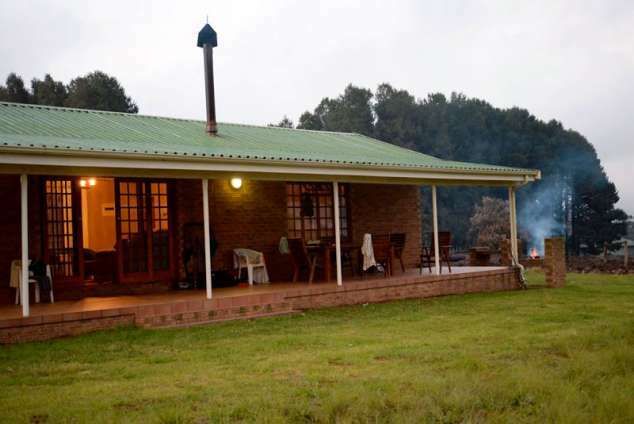 Luiperdkloof offers 2 beautifully placed self-catering chalets overlooking one of our trout dams. The chalets sleep a maximum of 6 people and have 2 en suite bedrooms, furnished with a queen size bed, 2 single beds and a sleeper couch in the lounge. Relaxing in our little paddle boat. Hiking and taking scenic walks through the beautiful Balele valley. Cooling off in our sparkling mountain streams. Bird watching – the area forms part of the Amajuba Birding Meander covering northern KZN, the eastern Free State and southern Mpumalanga for which the current bird count exceeds 400 species. Utrecht the town within a game park is 30km away and boasts an excellent 9-hole golf course. Wakkerstroom is 60km away and offers wonderful restaurants, coffee shops and quaint shops. 452 page views since 03 Sep, 2018.